This rifle is magazine fed, uses the direct impingement gas system, and features a rotating locking bolt that recoils on a buffer and spring system. If you described that to an experienced shooter they’d say you’re talking about an AR-15. It does share some design concepts and even some components with the AR, but one could easily argue that it also shares concepts with the M14 (one bullet after another) and even more with the Brown Bess Musket (making a small piece of lead go very fast in one direction.) The point being that comparing guns is a rabbit hole that can easily go in circles. It’s part of the issue we face when Canadian law talks about things like “variants” but doesn’t define them. But the Modern Hunter differs from the AR in some key ways. 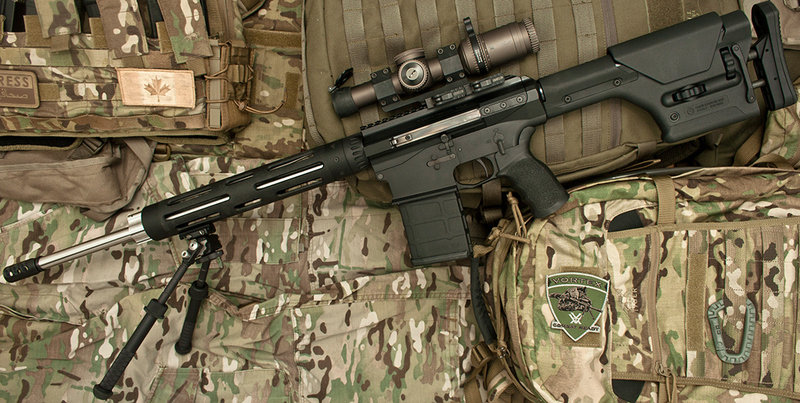 A side-folding charging handle, a proprietary gas block, and a proprietary bolt all integrate into the unique upper and lower system that means no part of the Modern Hunter can interface with an AR-15 upper or lower. How exactly did this rifle qualify as non-restricted? The RCMP compared the Modern Hunter to an early model AR-10, and a late model Armalite AR-10, and noted where they are similar and where they differ, and published an inspection report. 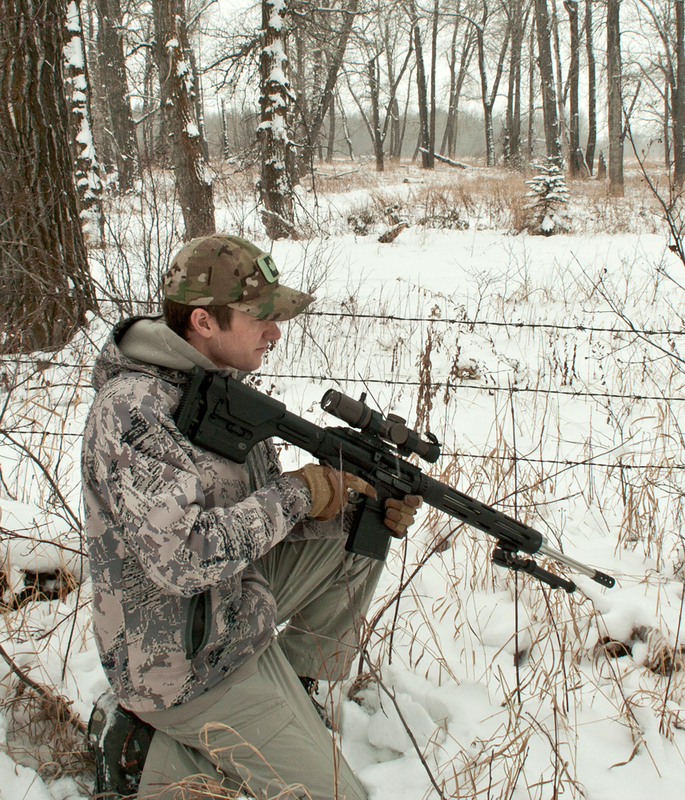 The Modern Hunter uses an AR-10 modular trigger pack produced by Timney Triggers. This drop in system means that the Modern Hunter does not have a trigger pin hole in the receiver. The RCMP notes that the Modern Hunter shares things like the bolt release, magazine release, safety selector, and recoil buffer system. But those things aren’t the deciding factor: uppers and lowers are. Rather than using an AR-15 hinged design, the Modern Hunter upper mates to a tapered trunnion inside the lower receiver. The upper slides onto the trunnion, and a cross pin up front holds it in place. So rather than punching pins and the upper lifting free, the Modern Hunter requires you to pop the front pin, break the suction on the trunnion, and slide the upper forward and up. This means you no longer get the speedy bolt access by punching the rear pin of an AR-15 and flipping it forward, but it also means that no AR upper or lower can mate with the Modern Hunter. The placement of the trunnion inside the Modern Hunter lower will block the rear take-down lug of an AR-15 upper. 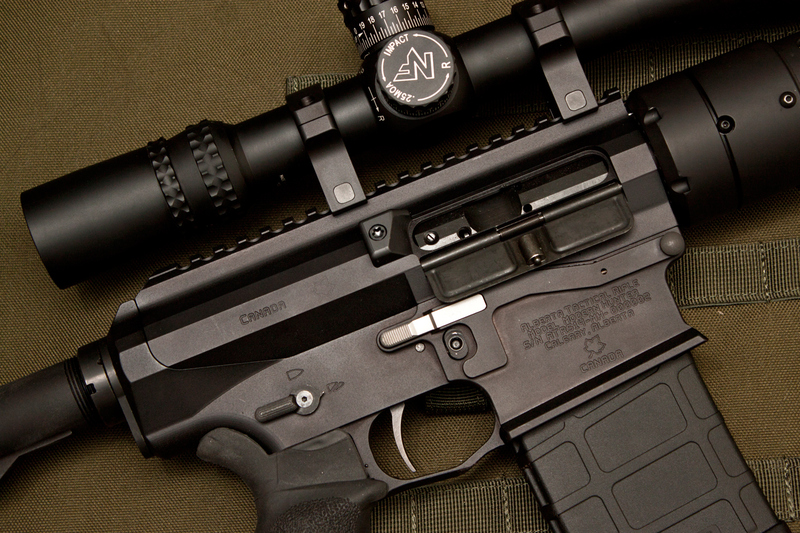 The sloping profile of the receivers also means that the Modern Hunter upper cannot fit onto an AR-15 lower. This saves it from the fate of guns like my Akdal MKA1919, a gas operated shotgun that shares no AR parts, but can be forced to fit onto an AR-15 lower. 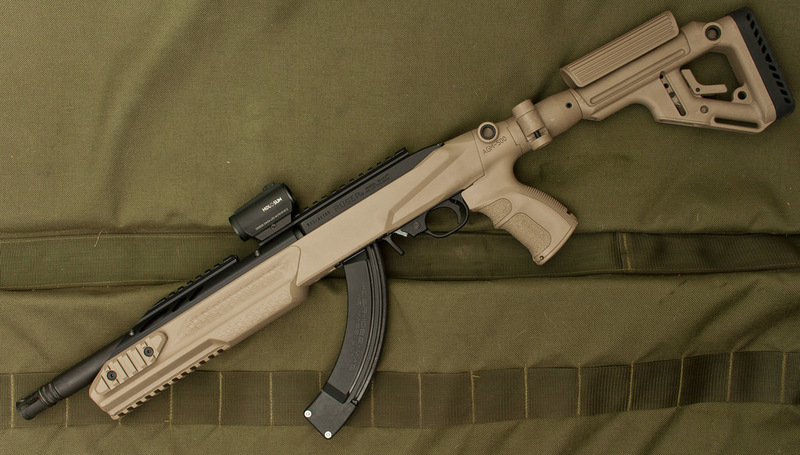 The Modern Hunter uses SR-25 pattern mags, and ships with a Magpul .308 Pmag. Theoretically it is also compatible with the XCR-M pistol magazines imported by Wolverine Supplies. 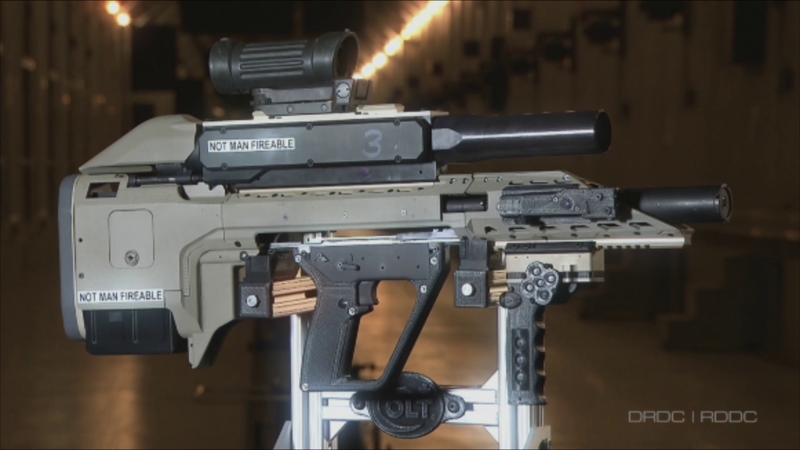 ATRS has no plans to produce a pistol variant of their own. 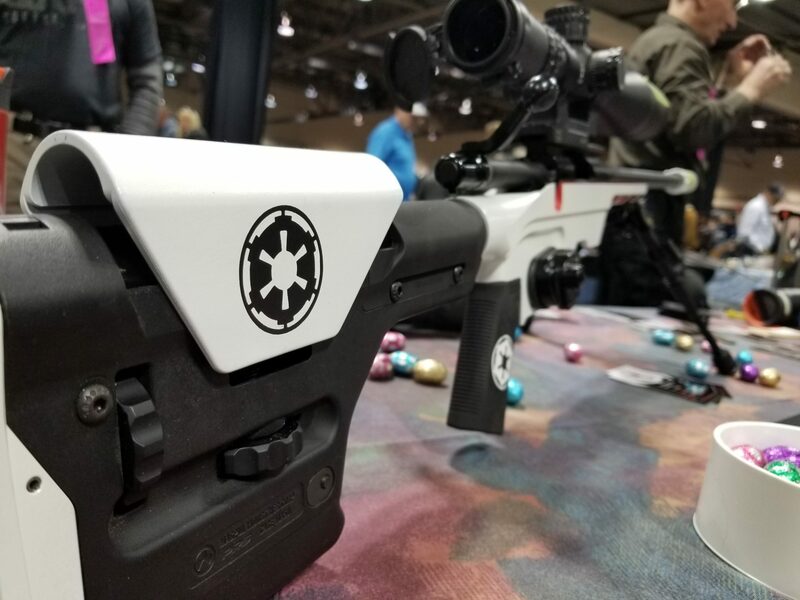 In fact, they are explicitly shunning short barrels and build-it-at-home parts kits to ensure that no restricted variant ever needs needs to be registered with the RCMP. 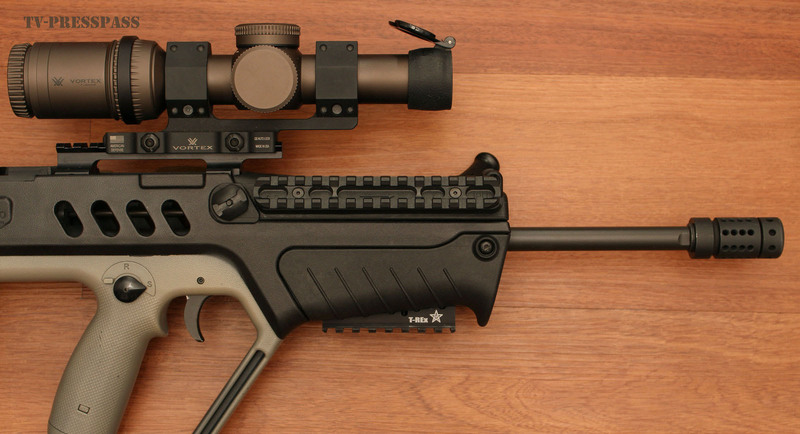 It is not some miraculous stroke of luck that this rifle meets the non-restricted requirements in Canada. The Modern Hunter is an example of exquisite design carefully tailored to Canadian law, changing the way we think about black rifles and variants.